For many small and locally owned businesses, Small Business Saturday® is not only a great way to boost sales at the start of the holiday season, but it’s also a wonderful way to showcase a commitment to their local community. Launched by American Express in 2010, this celebration of small businesses aims to inspire shoppers to support local businesses. Since its launch, the day has been fully adopted by consumers and the U.S. government alike, helping to spur on the Shop Small® movement. In 2011, the U.S. Senate unanimously passed a resolution supporting Small Business Saturday and, in 2017, more than 7,200 Neighborhood Champions promoted the day, across all 50 states. According to the 2017 Small Business Saturday Consumer Insights Survey, produced by American Express and the National Federation of Independent Business, on the customer side, 70% of consumers said they were aware of Small Business Saturday in 2017, and it shows. Each Saturday after Thanksgiving, large numbers of consumers venture out to “shop small” at their neighborhood stores and restaurants. According to follow-up data, Small Business Saturday inspired 108 million shoppers and diners to spend nearly $13 billion at local, independently owned businesses in 2017. So how can you grab your piece of the Shop Small movement pie? There are two primary ways: by understanding and catering to why shoppers venture out on Small Business Saturday, and then preparing for the day in a way that both informs consumers of your status as a small business and encourages them to shop small with you. Some say that part of Sears’ downfall was that it wasn’t tied to local communities in any tangible ways—a strategy that proved especially detrimental in a time when consumers are longing to regrow a sense of real community. And now keep in mind that a whopping 90% of consumers say they’ve seen a positive impact on their community thanks to Small Business Saturday. According to the 2017 survey, 64% of Small Business Saturday shoppers and diners chose to shop small specifically to support their local community. 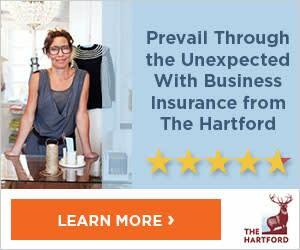 It’s easy to see why this day is such a great opportunity for small businesses, especially those that are locally owned. So be sure to get into the community spirit when writing any messaging related to your Small Business Saturday promotions and also while planning how you’ll treat this special shopping day. You may be late to the game this year, but if you’re reading this before the end of November, then not all is lost. Do everything you can to get the most out of this annual celebration, so you don’t completely miss out. Follow our guides below to figure out what you can still pull off with the time you have to prepare. With two weeks to prepare for Small Business Saturday, there is still plenty you can do to encourage customers to shop small with you. This includes planning a promotion-filled day or an event at your shop. If you’re an online-only business, consider opening a pop-up shop to promote your business locally and show your face in your community. Plan an in-store event or promotion. Ideas to consider include offering giveaways, using a raffle or a festive prize wheel, a free sample extravaganza, or sales on featured items. Partner with vendors or other local businesses to promote one another’s businesses, especially any that are complementary to your business or that share the same types of customers. You may even want to consider joining forces with fellow local businesses to create a scavenger hunt that will include fun treats and prizes for customers along the way. For online-only businesses or those of you who operate without a storefront, try opening a pop-up shop. This could take the form of a tasting or trunk show at another local business’s store, securing a booth at a Small Business Saturday festival or market, or taking over a simple store window of a vendor partner. If you ask to share another business’s space, be sure to explain how you plan to use it and how you’ll make it worth their while by promoting your business and bringing in more customers to their space. Create branded Shop Small swag to give to Small Business Saturday shoppers. Free samples of your products with the Shop Small® logo (see the next step) are an easy and quick option. Social media images (profile pictures, cover photos, and post images). Inspire your followers to include you in their Small Business Saturday plans by uploading and posting these graphics to all applicable social channels. Printable posters, event flyers, and featured item signs. Decorate your store windows, get all signage ready for the big day, and begin to pass out event flyers early. Shop Small logo and website badge. Update your website to show your participation in Small Business Saturday, and use the Shop Small logo on any branded promotional materials you plan to give out to customers, like reusable shopping bags, coffee mugs, product samples, etc. Email template. Generate excitement with your past, current, and prospective customers. Be sure to communicate any special promotions, events, or treats that you plan to offer. Fun Fact: In 2016, there were 135 million social media engagements related to Small Business Saturday. Make plans to host a quick and easy Small Business Saturday kick-off breakfast to get customers in the door early. Bonus points for partnering with a local caterer who can cross-promote with you. Look for already-planned Small Business Saturday markets or festivals in your community and ask if there’s room for one more. Fun Fact: While Small Business Saturday is a boon for getting consumers out and about in their local communities, it also can boost online sales for small businesses. According to the 2017 survey, 35% of consumers shopped small online in 2017. At this point, focus on the essentials. If your operation includes a brick-and-mortar location, that means making sure that Small Business Saturday shoppers will notice your business and understand that it’s part of the Shop Small movement. Whether you’re a brick-and-mortar shop or an online business, you also can nudge your social media followers with a friendly reminder about shopping small in celebration of Small Business Saturday. Decide if you have any last-minute deals, offers, or promotions you can use to entice shoppers to visit your shop, whether virtually or in person. At this point, even running to the supermarket for fresh flowers, hot apple cider, and donuts to create a welcoming customer appreciation table will warm up your store’s atmosphere for Small Business Saturday shoppers. Social media images (profile pictures, cover photos, and post images). Download your customized versions of these graphics and immediately upload them to your social media profiles. Then post that your business is participating in Small Business Saturday, making sure to use relevant local hashtags (such as #ShopSmall904, #ShopSmallDenver, etc.). Mention any sales or other promotions you plan to offer—even if you’ll just have complimentary hot chocolate and cookies for shoppers. Printable posters for your store windows will grab the attention of passersby. Rush these to your local printing vendor so you can set them up in your space before—or even on the morning of—the big day. One last friendly tip: Now is a great time to put a reminder in your calendar to give yourself enough notice to comfortably get ready for next year’s Small Business Saturday. Good luck, and have fun! After all, Small Business Saturday has grown from simply supporting local businesses. It’s now a celebration of your community. #ShopSmall! 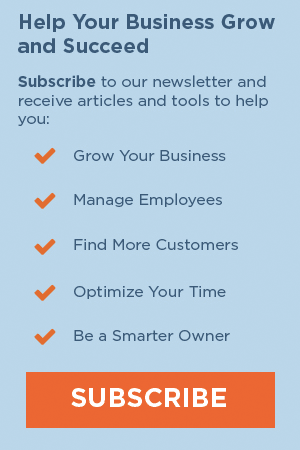 Next Steps: Sign up for the weekly Small Biz Ahead Newsletter and we’ll send you guides, articles, and videos to help you navigate the ins and outs of being a great small business owner. One Response to "Make the Most of Small Business Saturday—Even Without Much Prep Time"
Tried to get some templates and posters to print tomorrow but it is 2:45 am at nite. I am 80 years old with a great small custom purse business trying to catch up after surgery and have a computer only at work so I am trying with this IPhone in bed and all my passwords at work. Can you contact me in a day to get some Small Business Saturday posters templates prepared in time?